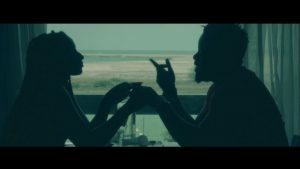 To the delight of her fans, sultry-voiced diva Ewube unveils the much-awaited visuals of her soul-searching single dubbed “Stay” featuring chart-topping music sensation Locko. The sensual ballad was produced by Edi Le Drae and video directed by Adah Akenji. “Stay” is an extract of her impending album titled “Verified” #Issavibe slated to be released in April 2018. This groundbreaking project shall feature a cream of great artists in Cameroon and abroad. Detailed information about her forthcoming project shall be revealed subsequently.